Right now if you take a look at any early 2019 NBA mock drafts you’ll find Zion Williamson, R.J. Barrett and Cam Reddish near the top of the board. When the three Duke freshman decided to commit to the same university it was big news. The nations top three high school prospects all joining the same team would be unstoppable when combined with an already solid team and historically successful coach. We have seen during the season that there are still some growing pains that these players are going through. Not one of them is the finished product and while they might be ready to take their talent to the next level, they are not guaranteed success from the offset. Nevertheless, they are three freshman expected to go in the lottery in the 2019 NBA draft. The top three high school prospects a year ago have become the top college prospects this year. At the beginning of the year when websites were already chucking out mock drafts, the three Dukies were tipped to go one, two and three. In the latest mock drafts, most of which were made to end 2018, there has been some changes at the top of the boards. Zion Williamson is an across the board lock at number one. He has cemented his case as being a lot more than just a dunker and has shown how valuable he can be in winning games. His efficiency and effort on both sides of the court have to be admired along with his incredible athletic ability that sets him apart from the rest. R.J. Barrett seems to a the consensus number two pick. Some weaknesses in his game have shown as the college season develops. He is not as efficient from the 3-point-line as many people would of expected and his trips to the charity stripe are never a guaranteed two points. His selfishness early on in the season has been suppressed and he is now making an obvious effort to find his teammates on a more consistent basis. Even with his weaknesses, Barrett is the number two pick on every board right now because you can’t deny his potential and his closest rival to begin the season, teammate Cam Reddish, has struggled so far. And it is Reddish that does seem to be the Dukie that could potentially get ousted from the top three in June. Showing glimpses of what he can do at the next level is what Reddish has done up to this point as for the majority of the season he has struggled with his shot, that which made him such an exciting player. A strong finish to the season and a good tournament showing will help reassure some NBA Gm’s but if not he will be selected based on what he good be rather than what he can bring to a team from the get go. Some mock drafts have already pushed Reddish outside of the top three to the four spot and five spot. If that is the case come June then it will very interesting to see who overtakes him in the pecking order. For now, there is no obvious immediate replacement at the number three spot but rather a lot of potential candidates. To be quite frank, the number three to seven spot could go to anyone at this point because this year the depth in quality of players is thought to be quite deep. So, if it isn’t Cam Reddish, who is it? Let’s take a look at some other players making some noise. 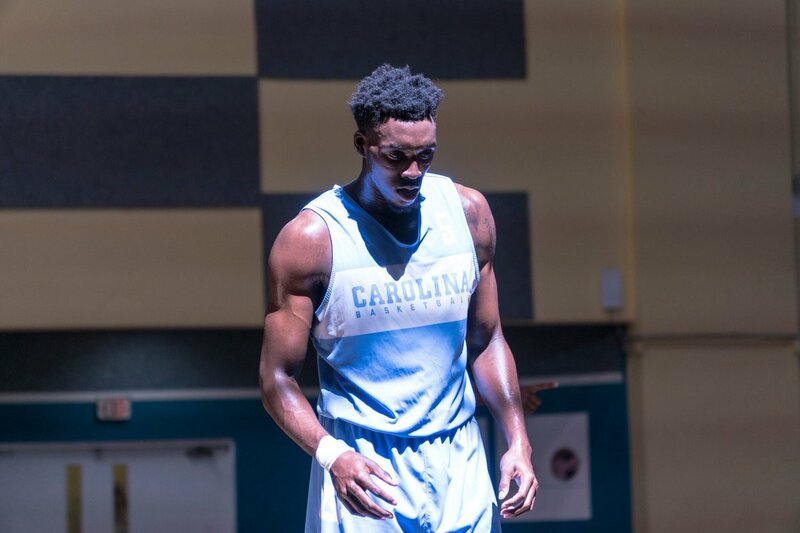 Nassir Little, is not the easiest talent to gauge. At 6’6″, 220 he is someone who certainly has an NBA-ready physique. There are some doubts about his play though. He is ranked in the top five by two of the websites above and yet he is UNC’s sixth man. Known more for his game-changing abilities on defense and power offense, he hasn’t really got a polished offensive game and isn’t a player to rely on to fill up the scoring sheets. His lack of a three-point shot (20.7%) also doesn’t help. With a bit of nurturing, Little can become a solid close to double double player in the NBA but at the moment a top five spot seems a bit of a stretch. Ja Morant not too long ago was only just about in the first round of some mock drafts but his consistent output has seen him skyrocket up big boards and he could well find himself in the top five. Posting probably the most impressive stat line (23.1 points, 10.7 assists, 6.3 rebounds) so far this season has raised a few eyebrows over at Murray State. While there was a bit of doubt about how good he really is due to his opposition, he did silence some of the doubters when he dropped 25 points on Auburn along with seven assists and eight rebounds. His playmaking ability, speed and athleticism have him as the top point guard in the draft at this moment in time but turnovers and a shaky jumpshot might scare potential suitors. 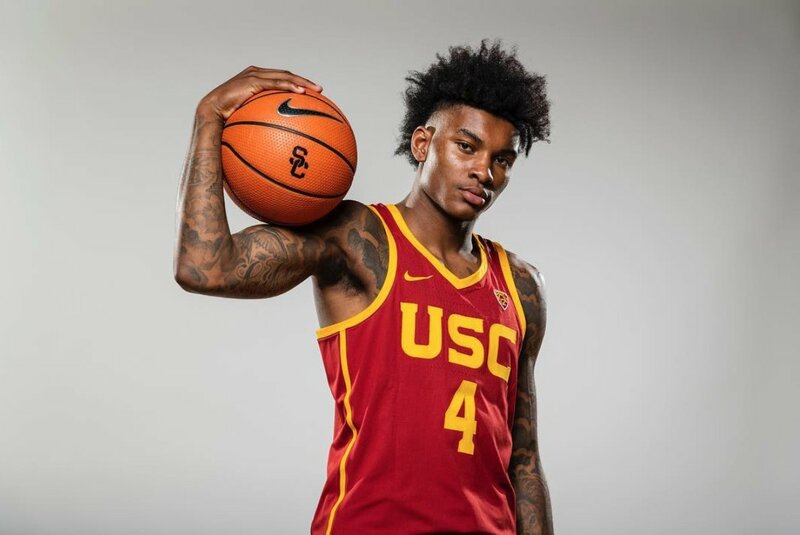 Kevin Porter has missed some of the season due to injury and began the year coming off the bench for the USC Trojans. And yet, he is one of the most exciting prospects in this year’s draft. What makes Porter such an eye-catching player is how easily he can create his own offense. He’s quick in transition, he finishes well, he can drive to the basket and probable most notable can create space between himself and a defender with one of the quickest crossovers or hesitations in college. Porter has missed time due to injury and for conduct issues which may push him a bit further down the draft. That being said he might be the best scorer in the draft. If you ask me he can emulate what Jayson Tatum did at the Celtics, make an instant impact by being able to score the ball. Romeo Langford might turn out to be the better prospect between himself and Cam Reddish. Both have struggled from with their shot although Langford has managed to get himself back on track recently. He’s not the quickest or most explosive player but he does manage to create space for shots, finish well and draw a good amount of fouls. He is Idiana’s go to scorer and leads the team in minutes. Reddish’s struggles have led him to being taken out for large chunks of games and he is currently getting the least minutes of all Duke starters. Langford’s downside really is his athleticism and speed and someone far less productive than him, like Nassir Little, could easily go ahead of him based on their physicality. This year’s draft will feature a lot of talented young players and it might be very difficult to decipher what order the top fifteen prospects will go in. There are other worthy players like Bol Bol, Jarrett Culver, Darius Garland and Keldon Johnson that have received a lot of praise but who do you think will go in the top three? Next Post Social Media: Good or bad for young people’s success?